While there hasn’t been much official information in regards to the Beetlejuice sequel, screenwriter Seth Grahame-Smith has just confirmed a couple things about the film. 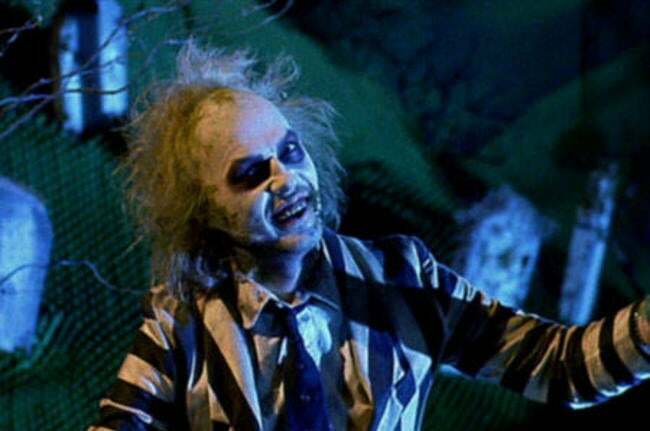 Unlike the upcoming Ghostbusters reboot, which is starting over with a brand new cast, Grahame-Smith has rejected the idea of rebooting Beetlejuice. So it looks like there will be quite a time jump between when Beetlejuice ended and when the new sequel kicks off. It also appears that while Grahame-Smith wants to bring Keaton back, he won’t be overusing the actor in the film. Grahame-Smith is reportedly taking Keaton's "less is more" advice with the Beetlejuice character. He noted that in the original Beetlejuice film, the title character doesn't appear until almost the midpoint.